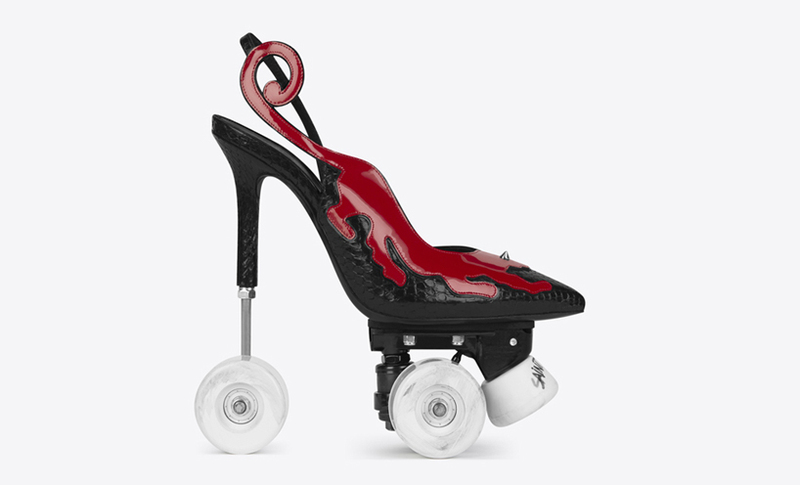 saint laurent just made rollerskating dreams come true with the debut of its futuristic stiletto roller skates. 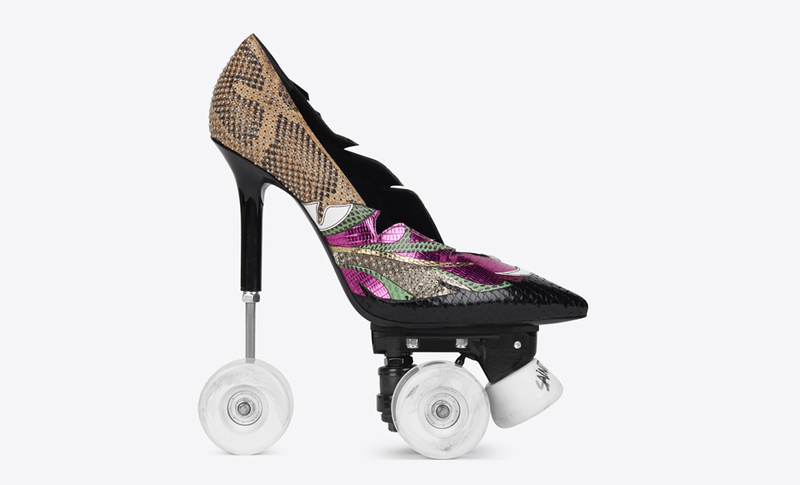 the high-heels on wheels, dubbed the ‘anya 100 patch pump roller’, were created by YSL’s creative director anthony vaccarello and are available in four bold designs. 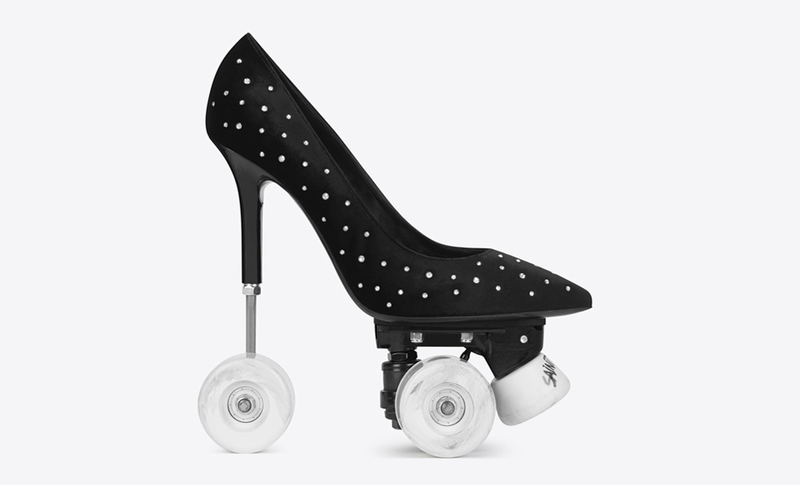 saint laurent’s ‘anya 100 patch pump rollers’ are made from different grains of leather and decorated with rivets and crystals, with one wheel sat precariously beneath its point, and two more on the outsole, plus a stopper at the front. there are two bright snakeskin versions, with one featuring the image of a woman pouting with a cigarette protruding from her bright red lips towards the heel of the shoe. a black snakeskin version has been designed with the sleek imaged of a cat in red patent leather stretching from heel-to-toe, and there is also a pair that looks like a black satin heel sprinkled with crystal embellishments. after appearing in the brand’s controversial ad-campaign images, that were banned by france’s autorité de régulation professionnelle de la publicité as it believes they were allegedly demeaning to women, the radical ‘anya 100’ has been rolled out across europe.